Dangling fused art glass flat dichroic checkerboard earrings. 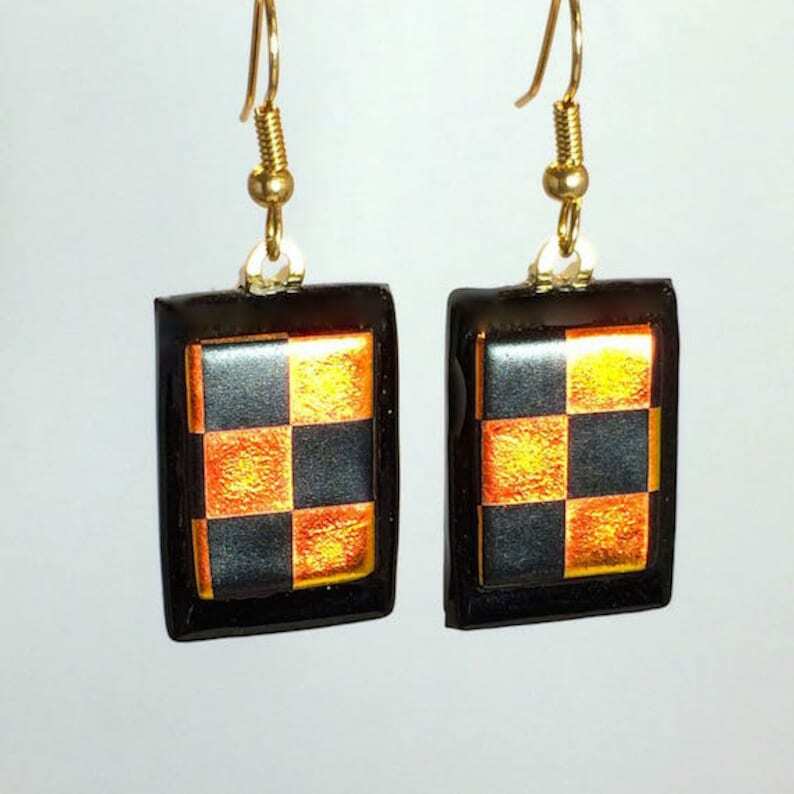 Black and orange earrings with a black background modern checkerboard design. The black base highlights the flat black and orange dichroic glass. The wires are gold plated. These earrings measure 1" h X 3/4 " w Not including the attachments. For your protection our ear wires are either sterling silver or gold plated.